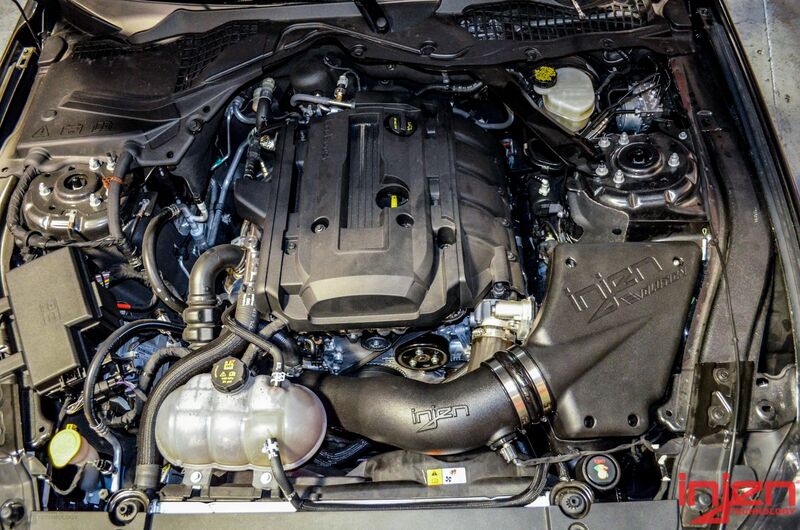 Replaces your stock airbox and paper filter element with a free-flowing roto-molded polyethylene airbox, intake tube, and high flow supernano-web dry filter for a noticeable increase in power and performance all while still providing excellent filtration. 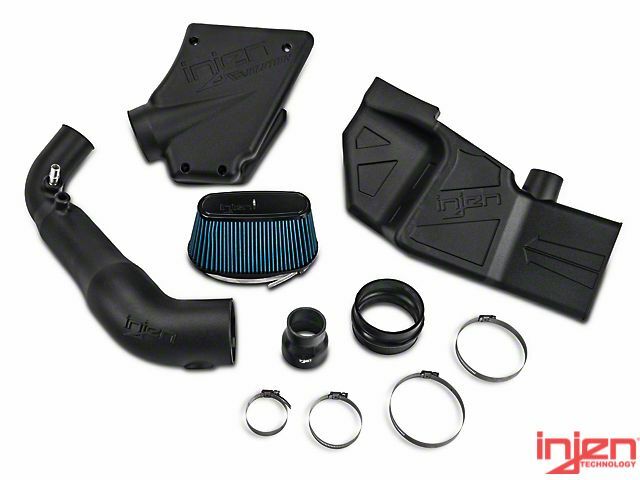 The engineers at Injen designed, tuned, and dyno-tested this intake to improve your Pony's power using the stock tune. 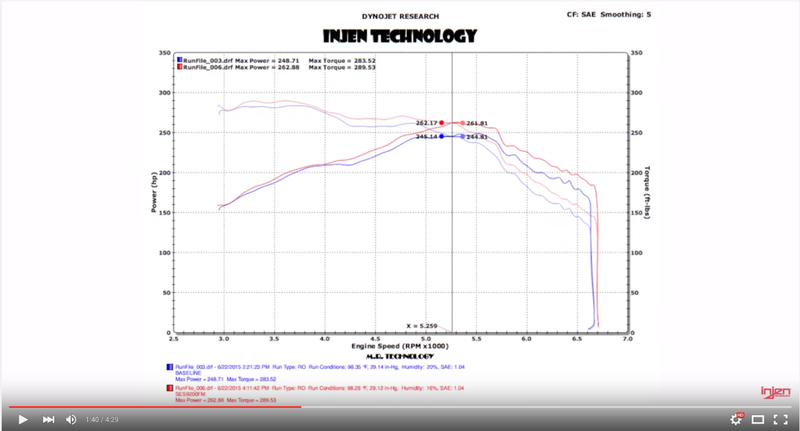 Injen's built in filter minder alerts you with just a glance of a dial when your air filter is in need of maintenance. Designed and manufactured in the USA from roto-molded cross-linked polyethylene for outstanding durability and heat insulation- providing smooth, unrestricted airflow. Designed for Easy Install with just basic hand tools. No extra modifications are required and all necessary hardware is included along with instructions.